* Support Pan/Tilt/Zoom cameras, extensible to add new control protocols. * Built on standard tools, C++, Perl and PHP. * Independent video capture and analysis daemons allowing high failure redundancy. * Multiple zones (regions of interest) can be defined per camera. Each can have a different sensitivity or be ignored altogether. 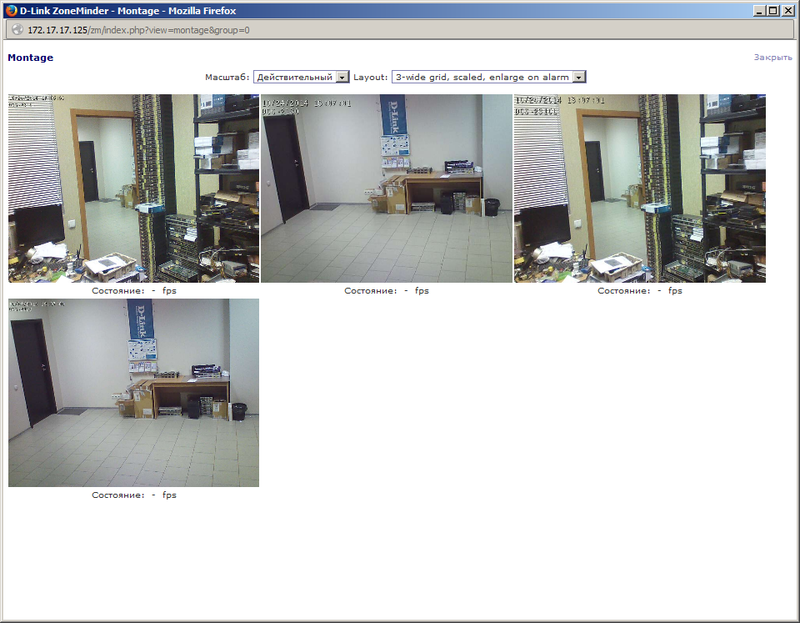 * Web interface allowing full control of system or cameras as well as live views and event replays. * Supports live video in MPEG video, multi-part JPEG, and stills formats. * Supports event replay in MPEG video, multi-part JPEG, and stills formats along with statistics detail. * User defined filters allowing selection of any number of events by combination of characteristics in any order. * Event notification by e-mail or SMS, including attached still images or video of specific events by filter. * Automatic uploading of matching events to external FTP storage for archiving and data security. * Partitioned design allows other hardware interfacing protocols to be added for support of alarm panels, etc. * Multiple users and user access levels. * Multi-language support with many languages already included. * Full control script support allowing most tasks to be automated or added to other applications. * Support external triggering by third-party applications or equipment. * XHTML mobile/cellular phone access allowing access to common functions. Download and install the ZoneMinder Add-On. 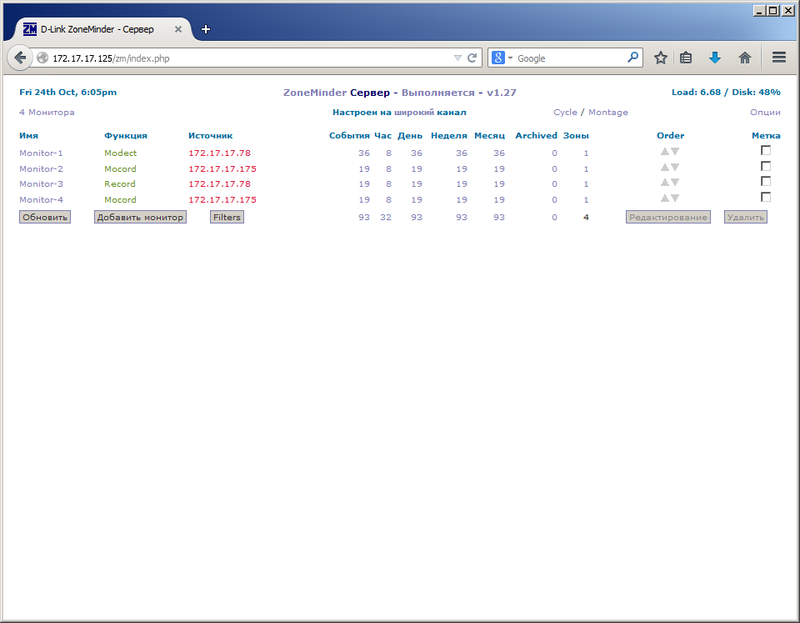 Click the link for the ZoneMinder web interface and configure it. many thanks for having added zoneminder. 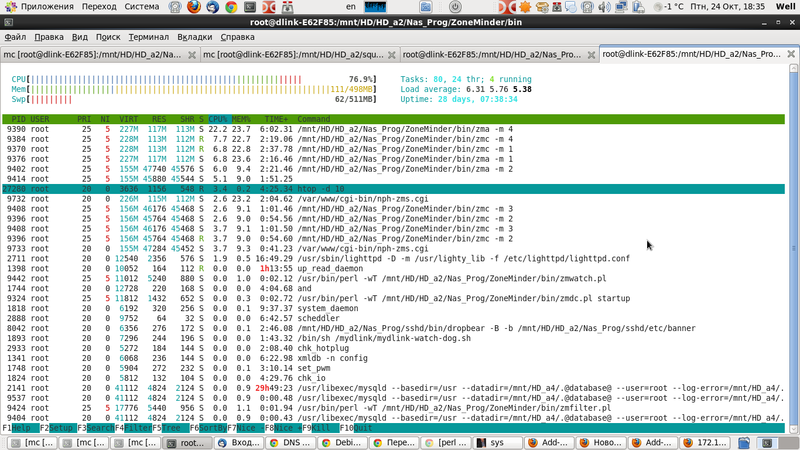 -in console zoneminder top right there is Load: / Disk: 50% missing the value of the load. I ask you kindly help to solve the problem. the problem of Load now has mysteriously appeared, use Chrome as a browser. I await news thank you very much for availability. excuse me, in wanting to solve the problem described above I tried with ssh to change the permissions of some files / folders, the problem now is that when I launch zoneminder "192.168.1.10/zm" out on the web page "500 - Internal Server Error ". I have tried uninstalling zoneminder and install it again, but the problem remained. The problem also with Serviio console, so it seems a common problem. Can you help me, is there a way to restore the system? On further investigation I found that disabling Softether, everything started working. The problem is very strange. I state that before this installation worked. Probably a corrupted mysql database, for example when an incorrect shutdown of the NAS. phpMyAdmin is? If so, it correctly displays the contents of a mysql database? I started phpMyAdmin there is a table that zm sight seems ok.
How can I fix, if I delete this table, it should be recreated by zoneminder, then you should restore everything and fix it or I'm wrong. how can I restore as the first time? Hi vtverdohleb The 320L version you have listed on your site fails to install on two of my 320Ls it always says " Check File" Install Failed... and crashes the addons... NAS must be restarted to get back adons..
2. To connect to the NAS via ssh and run the command "startup-mysql"
[root@NAS HD_a2]# 150429 14:05:00 mysqld_safe Logging to '/mnt/HD_a4/.@database@/NAS.err'. is possibile create a new zm database with zm_create.sql, with removing the zm dabase old? Or sql database file to be imported with phpMyAdmin?